This is a fantastic community with twelve spacious town homes we know you'll just love. Saturnia homes for sale are nestled between the Atlantic Ocean and the Hillsboro River, located just off of South Ocean Boulevard and Osceola Drive. 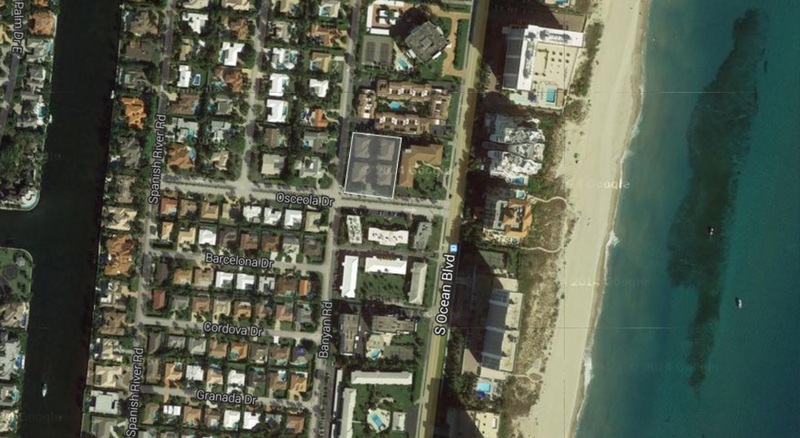 This is one of the best neighborhoods to be in in all of Boca Raton because of the prime location.Some of these luxury town homes in Saturnia even have ocean views; talk about living in luxury! When you live in a Saturnia home you'll be able to walk to the beach, play daily games of golf and so much more! Find out how homes for sale in Saturnia will surpass your expectations of communities in Boca Raton. Read more, or get started on your house hunt now by checking out some of the Saturnia listings below. Homes here are spacious, with nearly 3,500 square feet of living space in each unit. These homes have been divided into four professionally maintained buildings. There is a distinct Mediterranean-style theme that runs through the complex, paired with nonstop tropical weather there’s no wonder why residents never want to leave! That being said, this community is easily accessible via the Florida Turnpike, 595 and the Sawgrass Expressway. These town homes are served by the municipality of Boca Raton and have a small homeowner's association. What sets this luxury town home complex apart from others in Boca Raton is that Saturnia homes are close to everything you could need. Nearby amenities outside the complex include clay-tennis courts, swimming pools as well as public access to the beach and the pier. If you’ve dreamed of having resort-style amenities available to you at home then Saturnia homes are for you! Listings in this complex move quickly so contact us today to help you with your home search.